I have naturally straight lashes that tend to even point a little downwards, so for me mascara can be tricky business! The formula of this mascara I find to be more so on the drier side then wet, which I personally really like as it doesn't leave clumps or smears like wetter mascaras do. I found zero fallout while applying, or throughout the day. I find many of my mascaras to remove my eyelashes, falling out in clumps or sparsely throughout the day. This mascara did not! The amazing design of this mascara makes it so easy for me to add product to the tips, corners, and edges of my lashes, which is great for those hard to reach baby lashes! This mascara makes my lash length outstanding while still keeping it natural, looking as if I had naturally long beautiful lashes all on their own. It also holds the curl which is rare for me to find with most mascaras. If I'm looking for a more dramatic, super volume look I can easily go over with a coat of a different mascara and I'm good to go. I work in the beauty and fitness industry and both my coworkers pay to get lash extensions done regularly, and after seeing this mascara on me they went out and purchased it and are now using it on the regular! I should also touch on that at the moment it is summer where I live, and this year our weather has been a little wonky. We've gone through bone dry heat waves, to super damp, moisture filled hot muggy days. I have gone for hikes and long walks on the beach in the hot sun with this mascara on and it hadn't once budged! No smudge or fallout. Even all the while the rest of my face is melting off. Holy Grail! Okay where do I begin.. I purchased this mascara at my local drug store as I was searching for a new product to try. When I applied this mascara I was shocked. It made my lashes longer than any other mascara ever has, even all my high end brands. I had no idea my lashes could even get that long. BUT, here's where I ran into problems. The wand picks up waaay too much product first of all, making it difficult to apply evenly, especially with such a tiny wand. And while my lashes were insanely long, they looked like spider legs. They were too spaced apart, instead of thick and voluptuous. They were just long pulled apart thin lines of long spider lashes. I also had the absolute worst clumping and fall out I have ever experienced. I spent the whole day with black flecks all over my face, and my eyeballs were just filled with black specks that I had such a painful hard time getting out. It was an all day thing trying to get them out of my eyes. And if I so much as sneezed the wrong way, or any water even the tiniest bit came into contact with my eyes, I was COVERED in black as if I'd been crying my eyes out all day. Now, you'd think that'd at least mean it would remove easily right? HAH! WROOONG! 4 makeup wipes and 3 face washes later, I was left with dry rough skin and eyelashes still leaving black all over my face. I called it a night and went to sleep. The next morning I woke and had black everywhere. Back of my hand, my face, pillowcase. 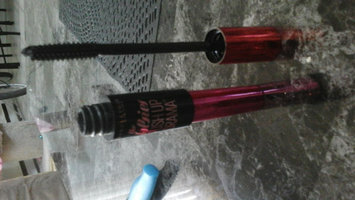 So all in all I've got very mixed feelings about this mascara, so here is my fully through review. I really love this game. It's a game for the whole family, for all ages! The little ones love it, and so do the adults ! Grandpa even played with the little one and grandpa ended up getting caught up and didn't want to stop playing Minecraft! Was too funny ! I like this game because it's good for the brain. You are constantly learning, remembering things, exploring the the land and learning how to work it. You get to build and build, with never ending exploration. The diversity of things you can do and build on this game is amazing. I love how it teaches you survival skills. 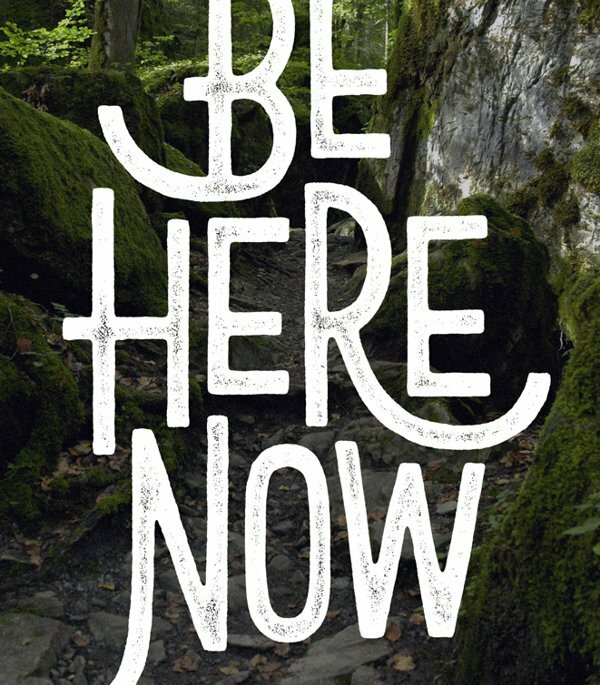 You need to eat, shelter yourself, and shows you what happens when you don't, or when you get hurt. You are on constant edge surviving ! Where as creative mode is free for all where you build and create your own cool world! I would defiantly recommend this game to anyone with an imagination, who am enjoys building and exploring. From 4 to 90, you'll love Minecraft. When I was working at a a liquor store we had a demo of Angry Orchard hard cider and that was the first time I'd tried it. As a cider lover, I instantly loved it. It has a crisp refreshing taste, and super cute packaging ! This cider is very crisp and tasty, but as a sweet lover I enjoy a sweeter cider. All in all a great cider for those who enjoy beer and want to change it up, or those who aren't a fan of super sweet sugary drinks. Bols is amazing! It doesn't have the highest liquor percentage, but for the price and use its a great deal in my opinion. You can use it to mix other drinks amd create so many flavors. You can make many bartender drinks amd fancy shots with Bols. One of my personal favorites is taking a smooth vodka, and my Bols flavor of choice and blending it with ice to make a slush! Careful, addicting! If you dislike sugary too sweet drinks, you may not like Bols. But if you have a sweet tooth like me, it's a must try! Ooh dear! This used to be my favorite drink at one point. You can drink it straight, on the rocks, or my personal favorite on ice cream! Or take one bottle, mix with ice amd chocolate syrup and blend. It's like a liquor dessert milkshake. It has a super creamy smooth texture and taste. Very versatile! Makes a great dessert! Working in a liquor store it was one of our highest consistent sellers, and a family favorite of mine. Every family visit weather it be christmas, a reunion, a dinner, party, or get together I make sure I always have some bailey's for everyone. Baileys has a very smooth, creamy dairy texture. 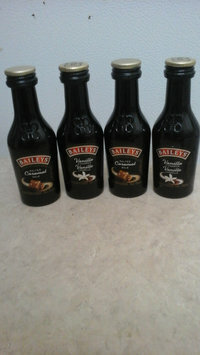 As for taste, bailey's has a milky taste with a strong overtone of rum. I've tried original, cherry, vanilla, and cinnamon. It's very versatile! You can even put it on ice cream! Ketel One has a smooth, clean taste and texture. It is a medium priced vodka, with a higher end quality. I find it mixes well with everything. You can use it to make any drink you desire, slush drinks, cocktails, carbonated drinks, juice, water and even on the rocks. If your looking for a decently priced vodka with a good taste, this is it. This has to be the most refreshing, cooling, melt in your mouth chocolate I have ever had! Upon tasting the York peppermint patty, you can feel the chocolate melt in your mouth. Than you feel a cooling sensation that takes over your whole palette. The peppermint feels so soft and chewy, with a beautifully smooth texture. What kind of chocolate can leave you feeling refreshed, AND your craving curbed?! Amazing one of a kind treat!